TRIPS: Free things to do in London - C.R.A.F.T. 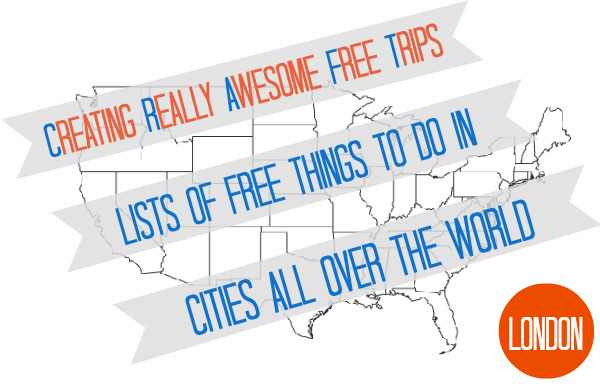 Today is our second ever edition of International Creating Really Awesome Free Trips! (The first was 10 free things to do in Curacao Island.) I was super lucky and got to attend the 2012 Olympics, I wrote a fun post about my top 10 Olympic moments… I even had a Kate Middleton spotting! Here are a few fun free things to do in London! 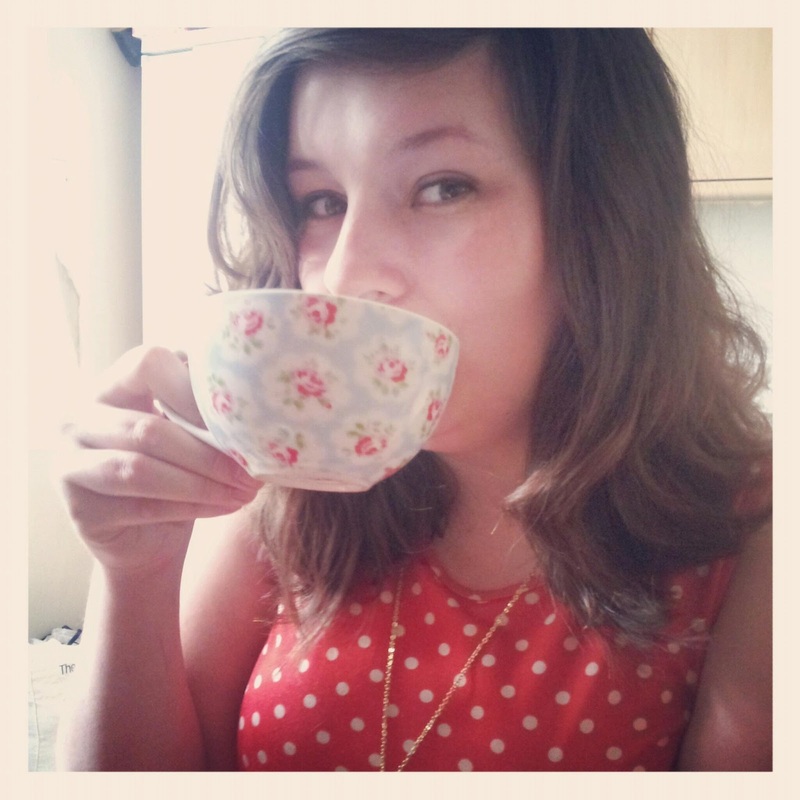 Hi everyone, I’m Louise from Marvellous Miss M’s Making & Baking. I am so grateful to have been given an opportunity to share how great London is with you all! I have been living in London for around a year and a half now and I am constantly amazed by how much fun you can have on a budget here! 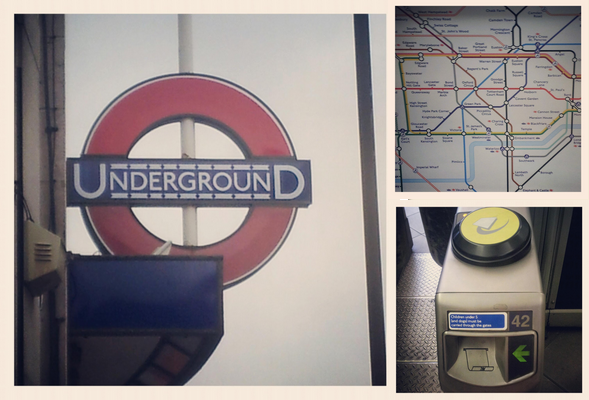 The easiest way to get around London is learning to navigate the tube system. Without this, you will spend a fortune on taxis, or end up quite tired from all of the walking you will end up doing. The simplest and most cost effective way to do this is by using an Oyster Card – you can get these from most stations by putting down a £5 deposit and then topping up with your desired amount. Unlimited travel within zones 1-2 should cost you no more than £8.40 including peak times. Ensure you always touch your Oyster Card on the yellow readers when you enter and exit stations, or you may be charged extra. Pick up a tube map and you will be fine. So many of London’s most famous attractions can be see in the Westminster area. There is Elizabeth Tower – known to so many as Big Ben, which is actually the name of the great bell insider the clock tower. Of course, there is the Palace of Westminster, where the British houses of parliament meet. You can also see the beautiful Westminster Abbey, which you may recognise from the wedding of Will and Kate in 2010. Also nearby: Buckingham Palace is only a 15 minute walk away from Westminster Palace, which would be particularly pleasant via St James’ Park on a sunny afternoon. The London Eye, though not cheap, offers spectacular views across the city and is about a 10 minute walk across Westminster Bridge. The Natural History Museum is a great way to spend some time in London. There is something for everyone here, and it is totally free to get in! I would recommend coming as early as you can – it opens at 10am – as there are often large queues, though they do tend to go down quickly. If you make it here early, head straight for the dinosaurs – they are the most popular exhibit and often you will have to queue again inside to get into the dinosaur area. In the basement near Investigate in the Green Zone there is a large indoor picnic area, great for a money saving lunch on a rainy day- there is also a snack bar and vending machines here should you need them. On the last Friday of every month (except December) you have the opportunity to view the Dinosaurs gallery and exhibitions in the evening – It’s free to attend Lates, but you have to buy tickets for the exhibitions and some of the special events that run on the evening. However, no other areas of the Museum are open at Lates, and it is for adults only. Also Nearby: The Victoria and Albert Museum, also known simply as the V & A, is right next door to the Natural History Museum. Admission to the V & A is also free, though there will be charges for special exhibitons. Selected galleries in the V&A remain open until 10pm on a Friday night. The Science Museum is also right next door to the Natural History Museum (on the opposite side). Again, entry is free but charges apply for the IMAX cinema, flight simulator and some of the special exhibitons. They run a Lates programme on the last Wednesday of the month, with different themes each month and activities such as a pub quiz, speed dating and ‘punk science’ lectures. The next Science Museum Late is on the 26th of June, and has a comedy theme. Spitalfields is a vibrant & bustling area in the East where there is so much to see and do. Take a browse round Old Spitalfields market – you can buy anything here depending on which market is on that day – art, old cameras, vintage clothing, food based treats, and anything else you can imagine! Within the Old Spitalfields Market complex, there are lots of bars and restaurants where you can enjoy a bite to eat, but why not sample the British institution that is the chippie? Located just off Commercial Street at the top of Hanbury Street, 50s style chippie Poppies of Spitalfields is a great place to do just that. You can buy a portion of chunky fries, or chips as they are known in the UK, wrapped in newsprint style paper for £1.80 (around $2.80) – smother in salt and vinegar and enjoy on one of the little benches just outside. If you continue down Hanbury Street, you will reach Brick Lane – famous for it’s curry houses, but also a great place for vintage shopping and various markets. Turn left and continue along Brick Lane until you reach Buxton Street, then take another left – just along the way you will find Spitalfields City Farm. A surprising but great fun discovery with a lovely community feel, it is a lovely little tucked away oasis of calm. On Sundays they hold an Eco-Chic Market, but you can pop along and visit the animals Tuesday – Sunday 10am – 4pm. Also Nearby: Around a 25 minute walk from Spitalfields City Farm is the Geffrye Museum and it’s gardens. It is dedicated to showing the changing styles in homes and gardens over the last 100 years, and is free to enter. You could also join up with The Alternative London Walking Tour, which starts and finishes near Spitalfields Market and promises to show you a huge range of the East End’s street art and ‘the London you won’t find in the guidebooks’. The tours are run on a pay what you like basis and last around 2 hours. Borough Market is a magnet for London foodies. You can find all sorts produce here: artisan foods, fresh fish and meats; baked goods; fruit and vegetables; and just about anything else you can imagine. There are also plenty of options for lunch from various traders selling everything from vegetarian empanadas, grilled cheese sandwiches and hog roast. The full market is open on Thursdays, Fridays and Saturdays, but you can go along for lunch Monday – Wednesday too. Also Nearby: Maltby Street Market is a smaller, newer food market about a 20 minute walk from Borough Market. It is worth going along for a look and is usually a bit quieter than the bustling Borough! In 10 minutes you could walk to the Tate Modern, where admission is free except for to special exhibitions. 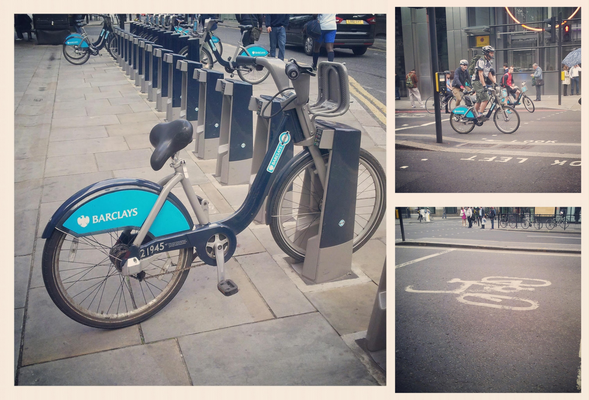 The idea is simple – take one of the 8,000 bicycles from one of the 570 docking stations, cycle to wherever you like, and return it to a docking station there. You can choose to become a member online in advance, or you can pay by card at any docking station. You pay an access fee to allow you to use the scheme (£2 / $3.11 for 24 hours) and then a usage charge – up to 30 minutes is free. The most overused quote on London has to be: ‘…when a man is tired of London, he is tired of life; for there is in London all that life can afford.’ (Samuel Johnson, writer). But it’s become clichÈ for a reason – with so much happening all the time in London, it would be difficult to ever tire of it. There is always an exciting event happening, an intriguing exhibition opening, or an inspirational festival coming up, and so many of these things are happening for free. The best way to find out about these things is to do your research. Visit websites like Time Out London – you can choose to see only free events once you have done a search. The Londonist blog posts an article of free and cheap (under £5 / around $7.75) things to do in the upcoming week each Sunday. Follow Skint London on twitter to see things to do for £10 (approx $15.55) & under. Another great site to check out is What’s Free in London – they list hundreds of free things to do around London. Throughout the year, there are various free festivals going on, such as the Festival of Neighbourhood, Southbank Centre; West End Live showcasing the entertainment available in London’s West End; and Rioja Tapas Fantasticas, a Spanish food and wine festival.